Look what I found at good ol' Mollie Stone's this afternoon! 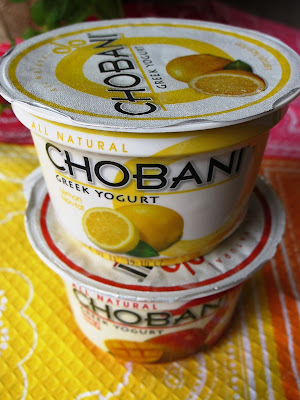 Chobani's new flavors - lemon and mango! They also had black cherry, but I'm not the biggest fan of cherry flavored foods. I decided to pass on that one for now. I'm eating the 0% lemon right now. Goodness gracious. It's so refreshing - with the right about of tartness. Alright, so I have an absolutely delicious muffin recipe to share with y'all. Seriously, I can't say/type the word "muffin" without thinking of that SNL public radio skit. Love. I used oat bran in my granola last week, and this week I decided to use it in muffins. 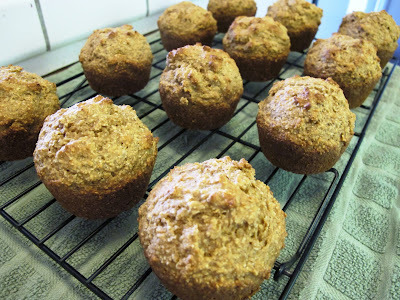 I found this recipe for Oat Bran Muffins on All Recipes and decided to healthify it a bit. I reduced the amount of eggs, completely cut out the oil and used whole wheat flour. I added a little spice, as well as Greek yogurt. Mm! I have to admit, I was a little hesitant that these were actually going to taste healthy. Ya know what I mean? Sometimes you can just tell if something is a healthier version - it tastes a little blah. Not with these! 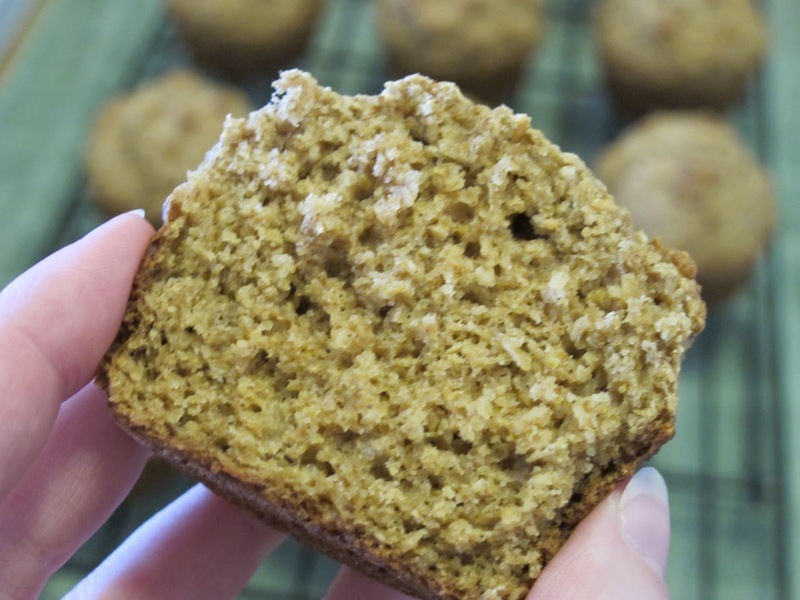 Each muffins has 117 calories, roughly 3 grams of fiber and just over 4 grams of protein. Click here for the complete nutritional information. Enjoy! Preheat oven to 400 degrees. Line or grease 12 muffin cups. 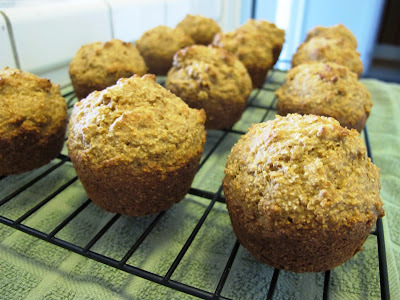 Blend together brown sugar, oat bran, flour, baking powder, soda, salt and cinnamon. Add egg,vanilla applesauce and yogurt. Mix until well-blended. Spoon batter into muffin cups. Let stand 10 minutes.